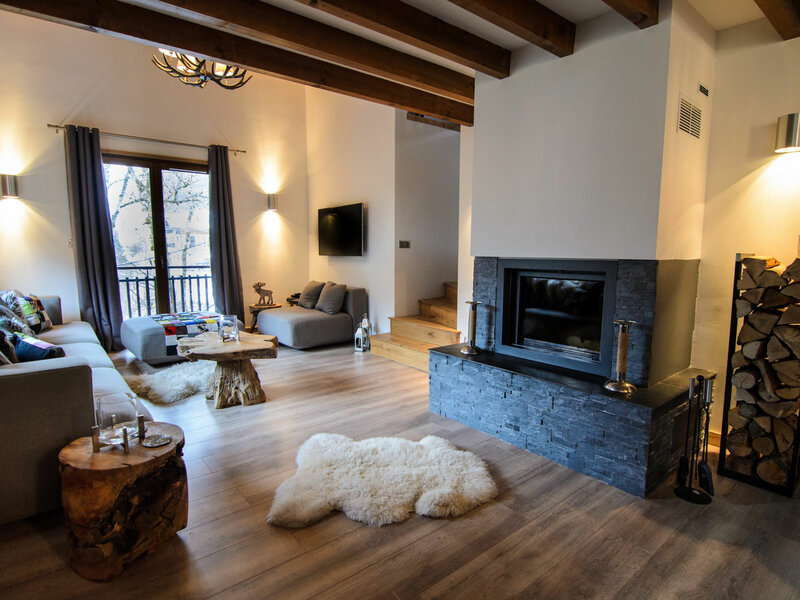 Stunningly appointed and completely restored, The Mountain Whisper luxury ski chalet, with its exclusive design and location across from the Nyon Piste, will not only deliver an unprecedented alpine experience but ensure the comfort and ease of the guests who stay there. 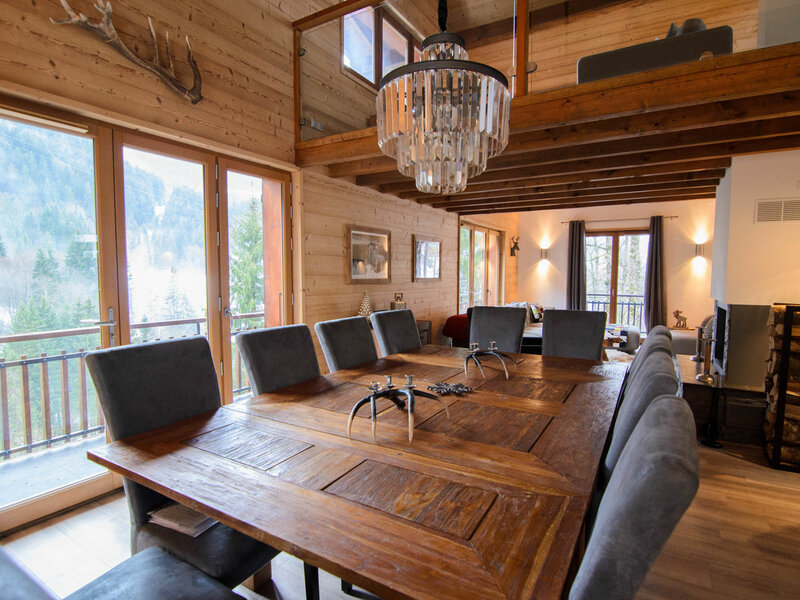 The 280 sqm of Luxurious Living Space with an Open Log Fire and Rustic Exposed Beams, is split over 4 levels with a large Living and Dining Area with UFH and full glass doors leading out onto Two Wrap Around Balconies with Panoramic Views of the piste and valley. 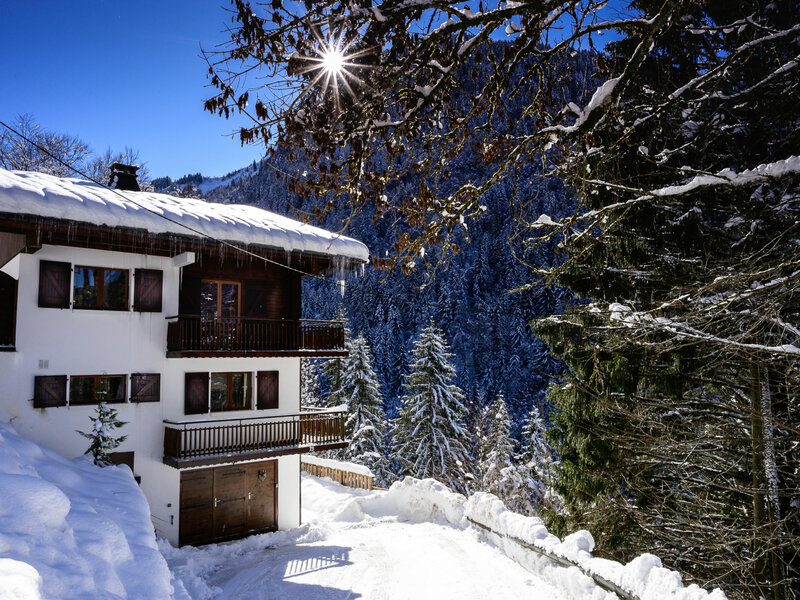 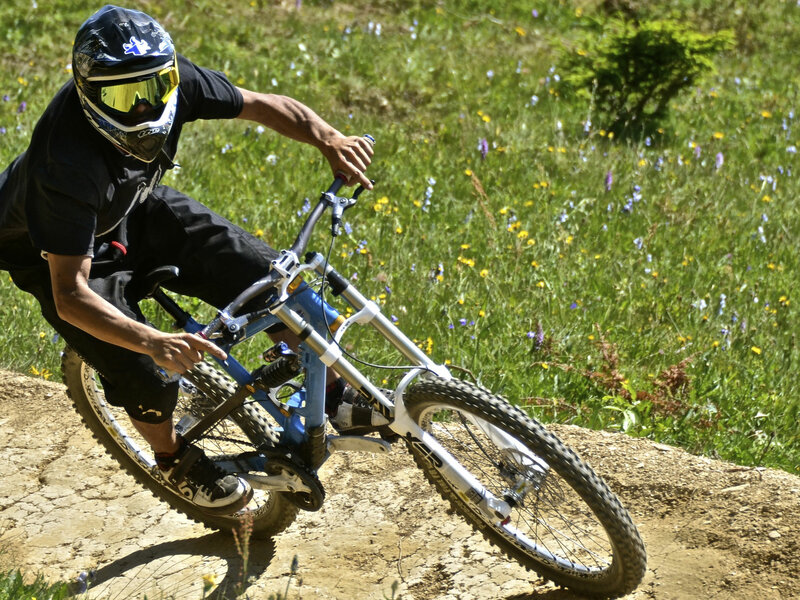 The Mountain Whisper is located 300 meters from the Nyon ski lift in the exclusive Vallee de la Manche in Morzine. 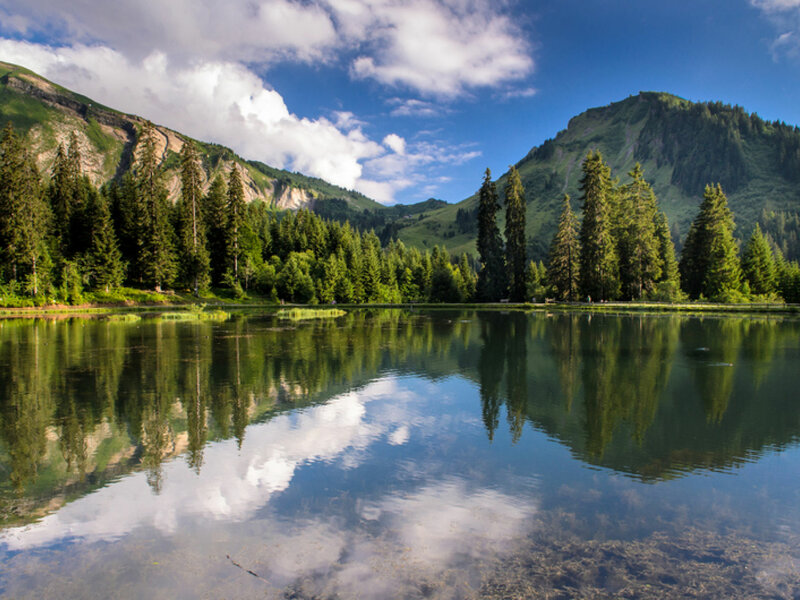 A short 15 min walk will take you into the authentic Savoyard town centre of Morzine with it's fine dining restaurants, bars and shops. 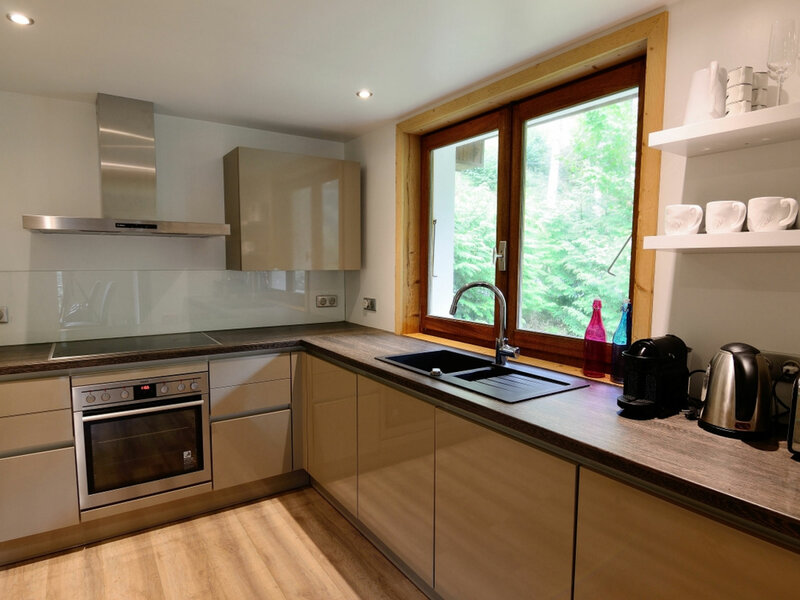 An ideal location from the centre to enjoy the peace and quiet and some of the best views in resort and yet close enough to enjoy the vibrant nightlife in town! 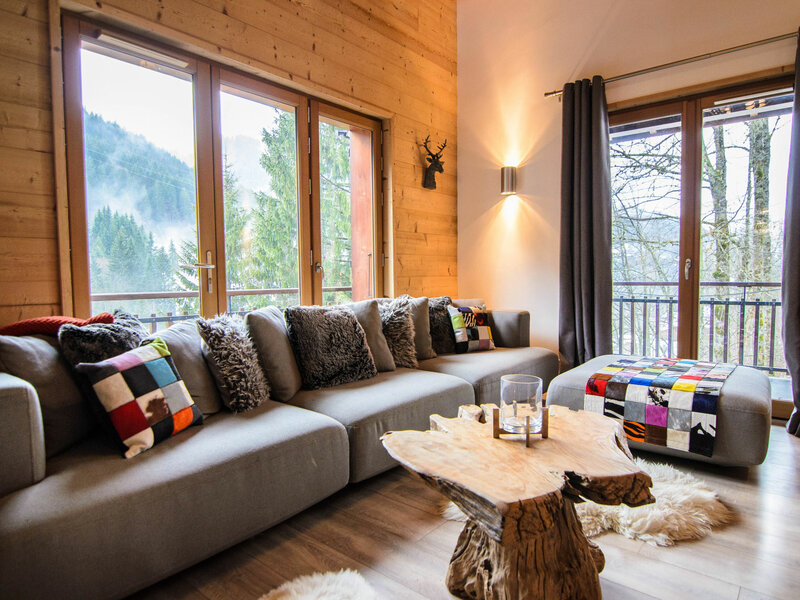 The free Ski bus stop is 30 meters from the chalet and will guarantee access to any ski lift in the Morzine-Avoriaz and the entire Portes du Soleil area. 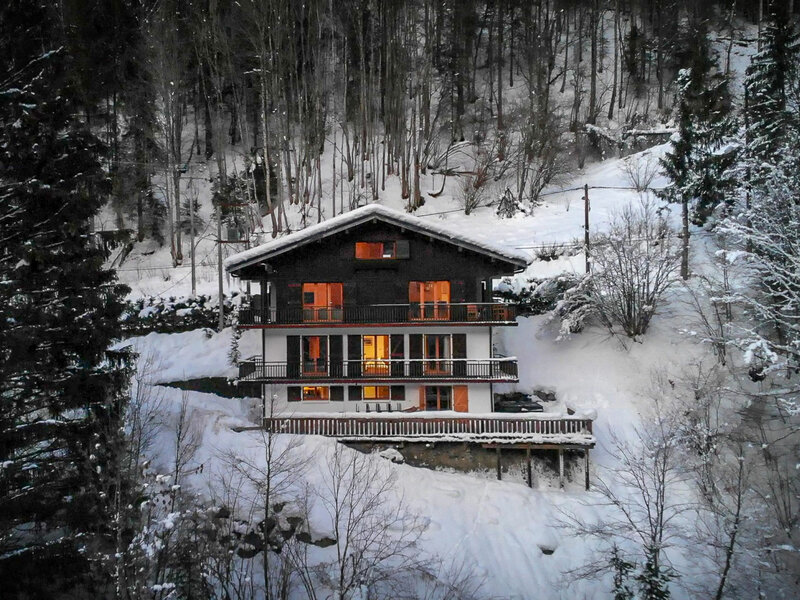 This chic private chalet features 5 Bedrooms and 7 Bath/Rain Shower Rooms and 265 sqm of luxurious living space! 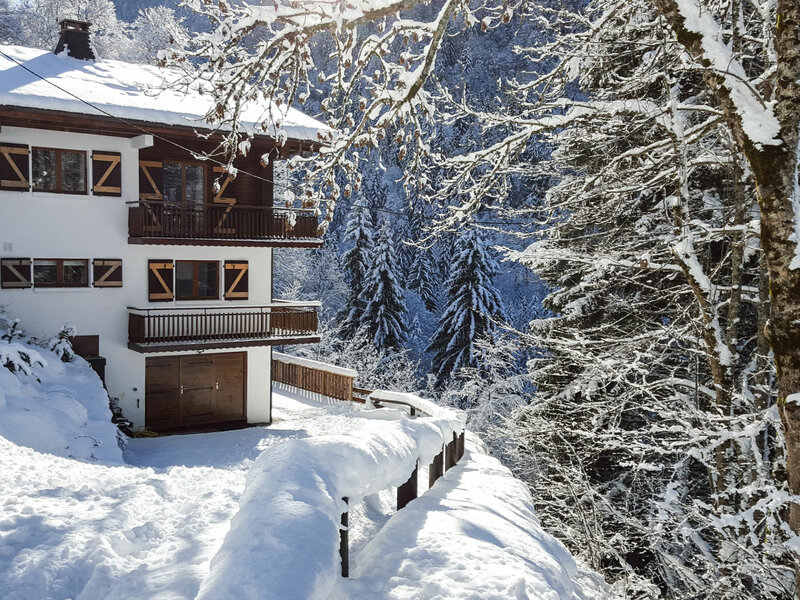 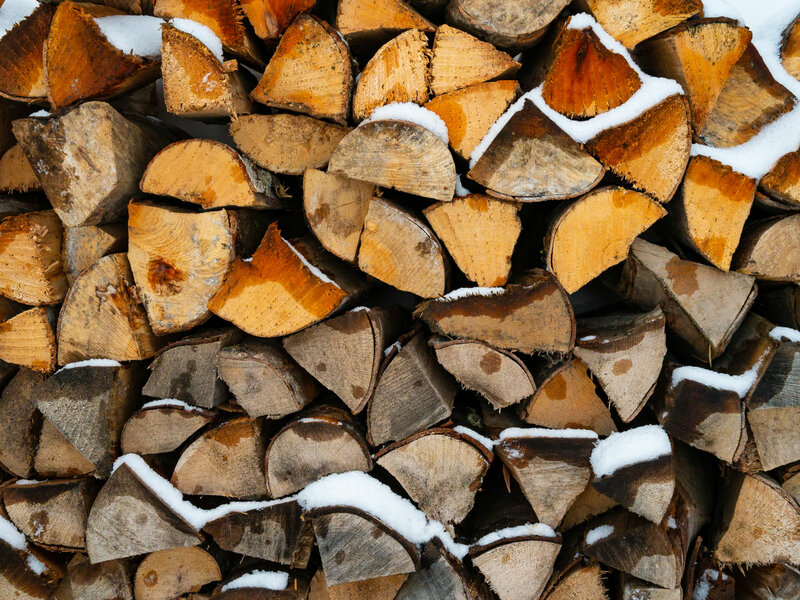 The weekly price is for the exclusive use of the entire chalet for 12 guests and includes Tax, Weekly Clean, Wifi, Parking, Toileteries, Welcome Pack and all Linen, Towels and Bathrobes. 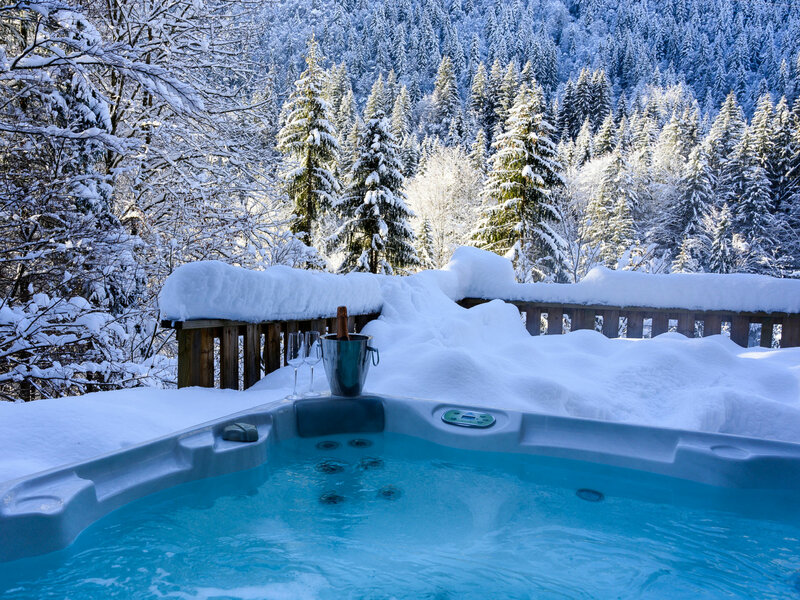 Please Note - Secure Bike storage is available during the Summer but the use of the Jacuzzi will not be available during the summer months.